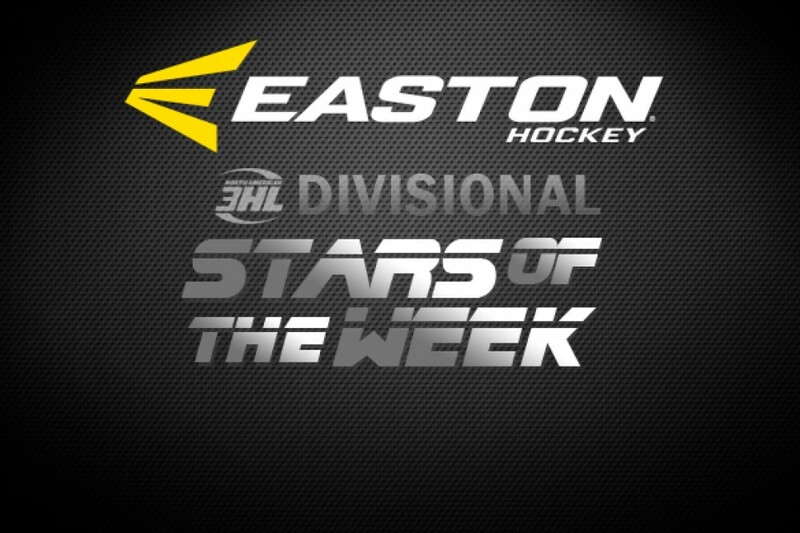 The NA3HL gives out a weekly “Divisional Star of the Week” award during each of the regular season. The awards, presented by Easton, are given to the top performing players in each of the four divisions (Central, East, Frontier, South) of the North American 3 Hockey League that are nominated by their head coaches. From a record and points standpoint, the top team to date in the NA3HL is the Great Falls Americans. They helped their cause this past week with four more wins including a perfect run at the NA3HL Showcase. Leading scorer and forward, Lucas Lomax, 20, led the way with five points in the four wins, including which included four goals (including two game-winners). The 5’10/175 lbs native of Phoenix, Arizona began the week with a two goal, one assist effort in a 7-5 win over Glacier on Friday. On Sunday, Lomax scored the game-winning goal in a 3-1 win over Minnesota. On Tuesday, he had another game-winning goal in a 2-1 win over Point Mallard. He was also a +6 during the week and his 23 points leads the Americans in scoring to date. Evan Hauser, the 20 year old goaltender for the Great Falls Americans, made the most of it by playing just one game last week. The Minnesota native earned his second shut-out of the season with 31 saves as Great Falls edged the previously unbeaten Helena Bighorns, 1-0 on Saturday night in Great Falls. He now has a perfect 7-0 record this season and his seven wins are tied for the lead in the NA3HL. Robert Kalata, a 6’0″ forward from Park Ridge, Illinois, led the Americans to their sixth and seventh consecutive wins on the season for the undefeated Americans squad. He contributed five points (2 goals and three assists) in the two home games against the Yellowstone Quake. He also had two assists in Friday’s 12-1 win. The Americans second leading scorer also had two goals and one assist in Saturday’s 4-2 victory over the Quake. Great Falls defenseman Miles Giorgione, an 18 year old native of Anchorage, Alaska, helped lead the Americans to two victories last week in his debut. On Friday, he had the game-winning goal and an assist in a 7-0 win over the Bozeman Ice Dogs. Giorgione (5’10”, 175 lbs. ), had another game-winning goal and two assists in a 4-3 win at Billings against the Bulls. He was also a +1 during the weekend.